We present a gamut of electronic automatic pump controller that consist of flow sensing, trip alarm, single & three phase, single tank and two tank controlling, built in single phasing preventer, self explanatory panel, semi auto and manual switches, long lasting electrodes. Our automatic pump controller controls the level of water in overhead tanks. 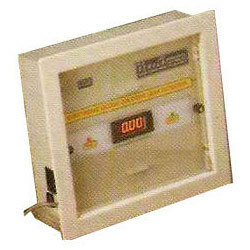 We provide two years warranty on our electronic automatic pump controller. We supply a range of Electronic Digital Liquid Level Indicator & Controllers which indicates and controls the level of water accurately. It can measure water level up to 8.00 meter height. These controllers have custom made, Bright LED Display which show 2% accuracy and can measure water level in cm, meter, feet. Our array also has high-level preset alarms, remote indications, Optional 4- 20 mA isolated re transmission and sturdy unbreakable mechanical indicators. 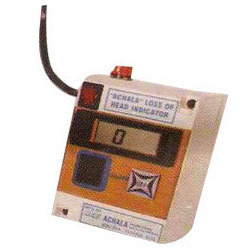 These indicators are operated through rechargeable 12 V or 9 V Battery. We offer an assortment of Electronic Digital Indicator for Filter Bed that is fabricated using premium quality raw material like plastic products, PVC, UHM, brass stainless steel, haste-alloy, mild steel and carbon steel. Our gamut has preset level alarm, remote indication that indicates water level in meters and feet. 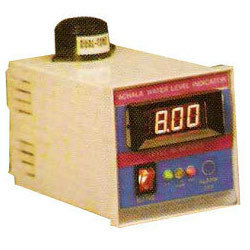 It also has data loggers, printers, low cost digital LCD indicators that are operated through battery. Sturdy unbreakable mechanical loss of head indicators is also present in this equipment. Looking for Water Treatment Plant Equipments ?